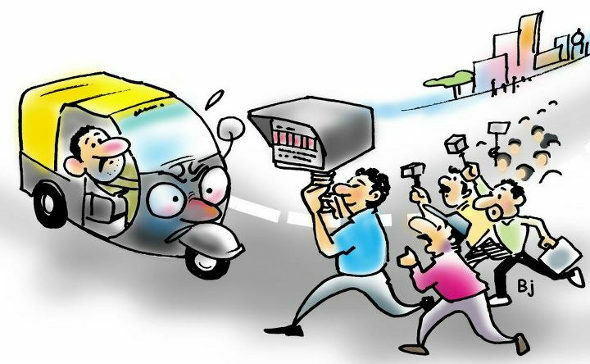 Auto rickshaw drivers in Belgaum are fleecing passengers for decades and the authorities are turning a blind eye to the woes of the common people. The Auto fares have not been fixed over 2 years now and not even a single auto driver charges by the meter. Here there is not meter or fare chart, what ever comes to the mouth is the fare. Fares are as per the whims and fancies of the auto drivers. To make some kind of impact an online petition has been launched and the same would be submitted later to the authorities. We would request all the readers to take some time and effort to share this and ask fellow Belgaumites to sign the same so that we can make some change to this Auto-cracy.